Chance… A word that can delineate both opportunity and fortune or luck, two concepts that interwine and complement each other, that are restless, never standing still, that appears unexpectedly and sometimes we have but a few moments to clutch them and open countless possibilities for ourselves, shaping the path toward the sentiment of intimate happiness and contentment. „A chance came up, I seized it“, proclaimed mademoiselle Chanel, knowing that true happiness lies in her own creation, but much more than just that – a state of mind, a way of life or, as she used to say, chance was her soul. I agree unreservedly with Coco Chanel, but for years I mistakenly believed that happiness relies on things from without. I didn't realize that it resides within our inner being, that everything is in our hands, that it follows the brave and those who dare and that it depends solely on oneself. 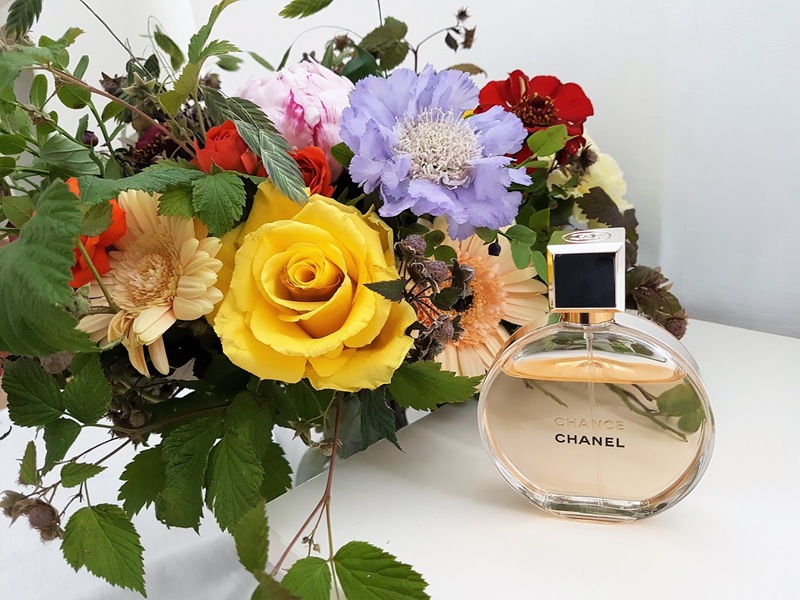 As explained manifestly and concisely by L. N. Tolstoy: „If you want to be happy, be.“ With that comprehension my life changed, and exactly the mentioned terms served as an inspiration for Chanel Chance Eau de Parfum. 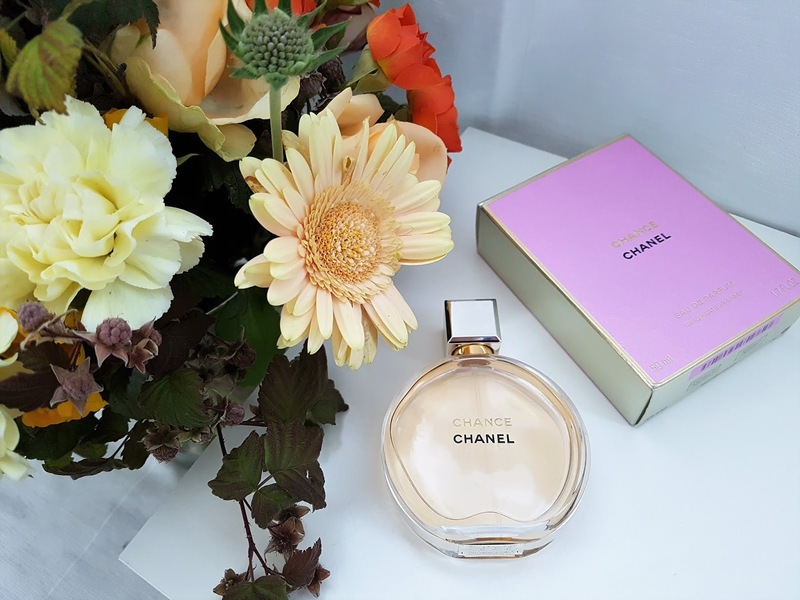 The perfume that is intended for younger generations, but with all the traditional features of house Chanel, is introduced in 2003. The fraught, enveloping and audacious aroma that combines fresh floral and spicy elements in an ingeniously extravagant manner is characterized by tinges of pink peppercorns, jasmine and amber of patchouli, interlaced and enhanced with scenting tones of white musk, hyacinth, vetiver, citrus, iris and vanilla. From other Chanel fragrances, in relation to standard square or rectangular packaging, is distinguished by its orbicular bottle that, in accordance with the name, symbolizes a „wheel of fortune“. When art director Jacques Helleu envisioned Chance, he drew a circle – the only shape that could coexist in harmony with the square of Chanel No.5 and share its timelessness. 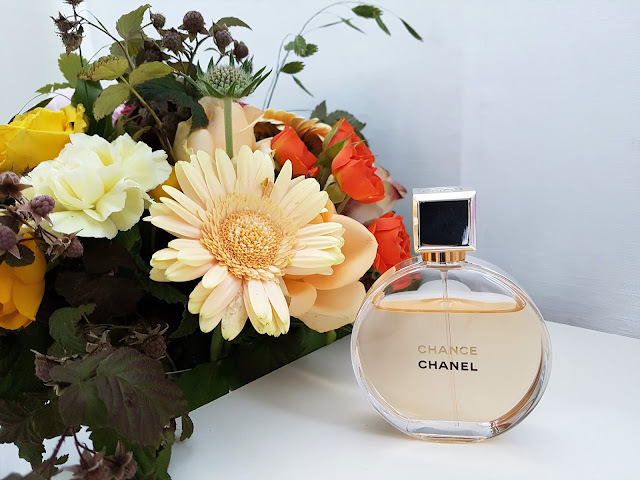 „Little by little a pure bottle emerged – ringed by silver metal to contain and control the wild energy of chance.“ The coverlid, as opposed to the cap made of shaded glass on the identical bottle of Chanel Chance Eau de Toilette, is also silver with a logo on top. Chance line of scents launched green Eau Fraiche in 2007. and pink Eau Tendre in 2010., of which I've already wrote (review can be read here). Although, as I stated before, these perfumes are promoted as youthful, playful and lighter than legendary No.5, Eau Tendre fits better in that category, while Eau de Parfum is more gracious, elegant, sophisticated, charming and in my opinion closer to the cult Chanel fragrances. I even read on several occasions about alleged rivalry between Eau de Parfum and the famed Chanel No.5! For all who dare to dream, for all the romantics, this unpredictable, enduring floral scent sweeps with its magical vortex of merry imagination – an ideal description of the perfume that awakens the senses and when I smell it, it triggers the hormone of happiness and prompts the smile on my face, with a thought how wonderful it is. 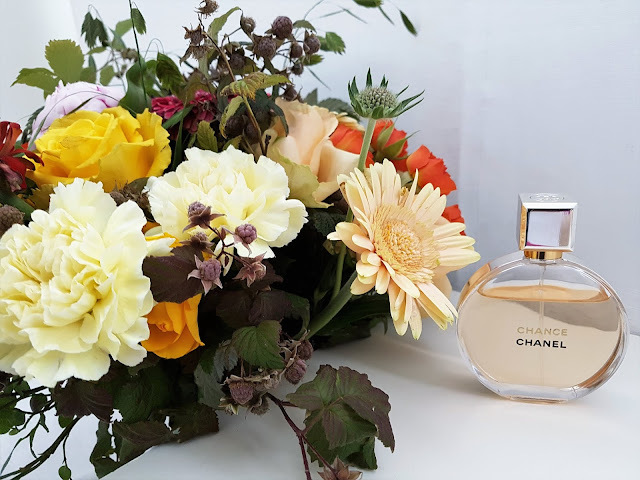 I prefer to wear it in winter transition to spring and especially in fall because, speaking from personal perspective, its olfactory components are perfectly adapted for rainy autumn days, while in the summer, when it's a bit heavy and strong, I usually avoid it. It's exceptionally unswerving and lingers for hours and, as I used it incessantly for a while, I noticed that it got embedded in my skin and clothes and became a kind of my trademark, on account of which I received numerous compliments and inquiries about the perfume that I'm wearing. Unique, refined, exquisite and simultaneously gleeful and seductive, Chance Eau de Parfum has produced a deep afterimage, recognizable and one that can't go unobserved. Simply put, lucky prospect decanted into perfume bottle, happiness which we can grab and carry with us at any time! 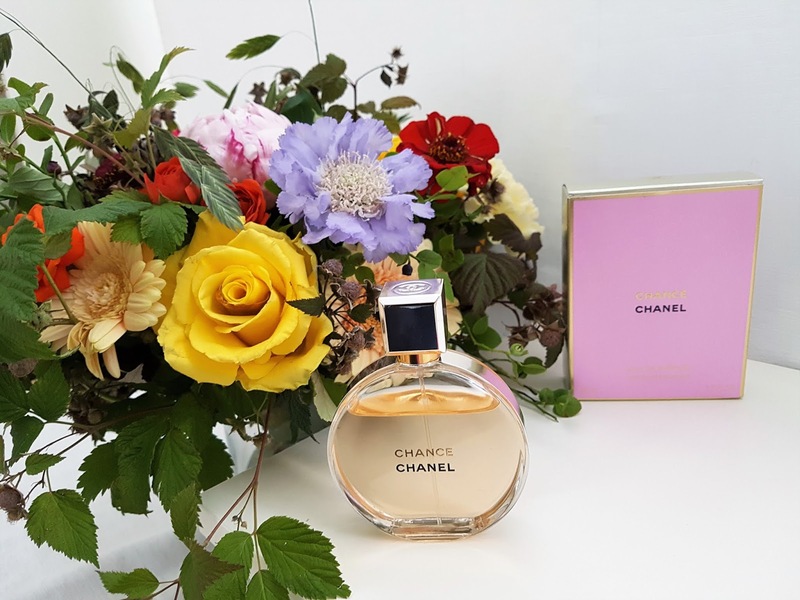 Have you tried Chanel Chance Eau de Parfum? What are your impressions? Write me in the comments. love chanel perfume! Keep it coming! we share same love for Chanel perfumes. I adore them. What lovely photos! I need to try this fragrance. Thank you so much, dear Kathrine. When you try this fragrance, let me know your impressions about it. I really need to add a Chanel perfume to my collection! This fragrance is awesome. I really love it, but I would like to hear which one you choose for yourself. Beautiful post! Chance has been my perfume of choice since I was 17. This post makes me smile a lot! Also I'm glad to hear that you love this fragrance so much as I do, because it is one of my favorite. I heard so much about this Chanel perfume, I almost got this but I picked Coco Mademoiselle. Maybe next time I should get this, nice review. Thank you so much. I'm glad to hear that you like review. I also have Coco Mademoiselle, that fragrance perfectly presented me and it is my favorite perfume of all time. But I like try and another fragrance and when I smell Chance it was love on first "smell". Now I use it for years and I can't imagine my life without it. This is one of my wish list. I bet it smells amazingly. Yes, smell of this fragrance is gorgeous. When you purchase it I would like to hear your impressions about it. This is in my wish list. I bet it smells amazingly. You really reminded me of using Chanel Chance again. I love the fresh and light scent, I just haven't used it lately. I'm glad to hear that. I also adore scent of this fragrance, it is so gorgeous. Sounds like a beautiful scented one! scent of this perfume is so amazing. Because that it is one of my favorite fragrance for a years. You are welcome, dear. When you try it let me know your impressions about it. I would like to hear do you like it? Chance is really great perfume. Some people compere it with famous No5. I never have No5 so I don't know is it true, but I know that it is one of my favorite fragrance for years. Love the positive message of going after your own happiness. Chanel is the best and I also like message behind this perfume. Wow seductive and gleeful huh? Sounds like a must try! Thanks for sharing! When you try it, I would like to hear your impressions about it. Chance is amazing perfume and smells wonderfully. I adore his scent. It would be great that you can smell it through screen. I'm crazy to try this perfume, I always hear good things about it! when you try it, I would like to hear your impressions about it and do you like it as much as I do. I'd really love to try this one, I heard a lot about it! I tried this at the store other day and loved the scent. I will probably purchase soon. I'm glad to hear that you like the scent of Chance. I adore it and it is one of my favorite perfume. When you purchase it, I would like to hear your impressions about it. 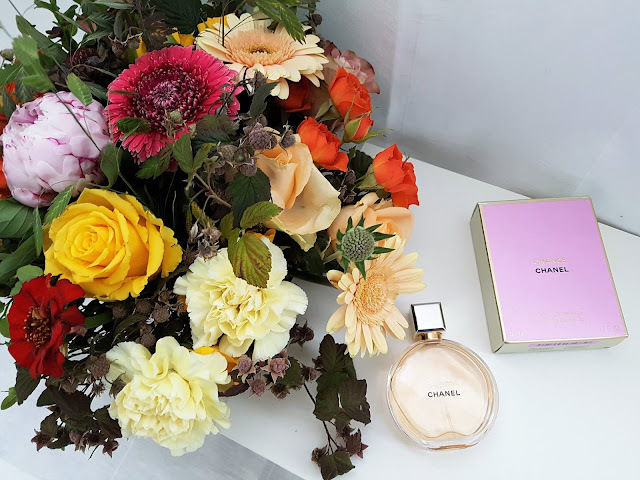 never tried channel perfums! they must be amazing! yes, Chanel have awesome fragrances. I can't decide which one I love the most. I lovee Chance by Chanel and I love these beautiful pictures you took with the bouquet! So beautiful! Thank you so much, dear Marta. Your kind words mean a lot to me. I'm glad to hear that you like photos. I'm glad to hear that because it is one of my favorite Chanel perfume. I adore it. I completely agree with your words. I'm not keen on perfumes, but this looks so good. Thanks for sharing. You are welcome, dear. 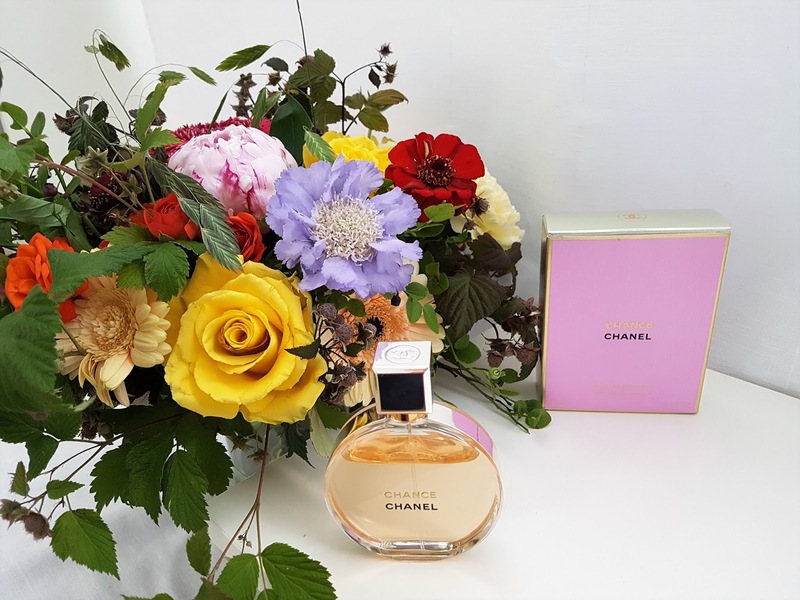 Chanel Chance is amazing fragrance. Thank you so much, dear Mina for your kind words. I appreciate it. I would really love to try this one. when you try it let me know your impressions about it. I'm curious would you love it as much as I do. I love Chanel Chance, I have Eau Tendre, its such a beautiful fragrance! I also have Eau Tendre and completely agree with you, perfume is amazing. It is my favorite fragrance for summer. 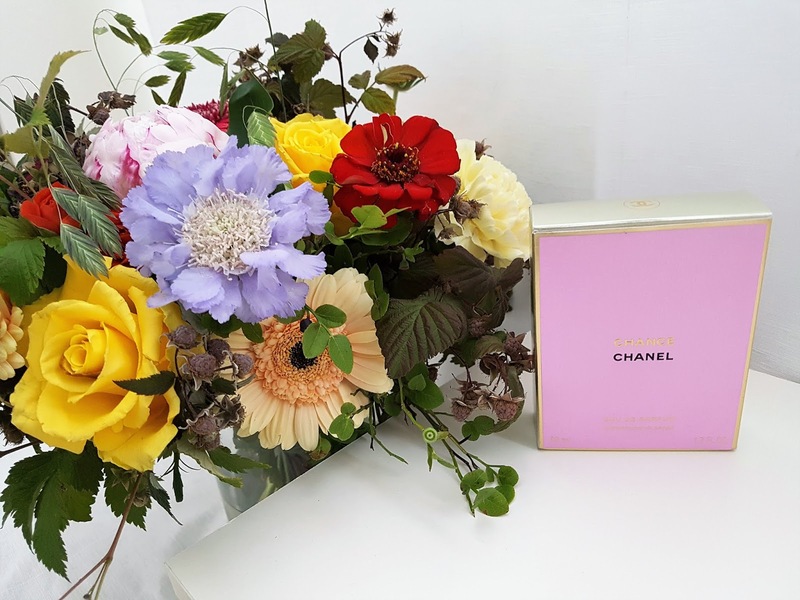 Chanel has such amazing fragrance. I bet this one smells incredible as well! this fragrance smells amazing. I got a lot of compliments when I wore it. Such a wonderful scent, great pictures too! Thank you so much, dear Rosanna. Your words mean a lot to me and I really appreciate it. One of my favourite scents of all times! we share same love for this fragrance because it is also one of my favorite. I adore it. if you adore every Chanel fragrance I'm completely sure that you will adore this one also. It is amazing. we share same love for this fragrance. It is one of my favorite. I'm glad to hear that you also love this fragrance and now need a new bottle. Enjoy in it. I really should try this perfume! When you try it I would like to hear your impressions about it and do you like it as much as I do? you are completely right. Fragrance smells so wonderful and divine. 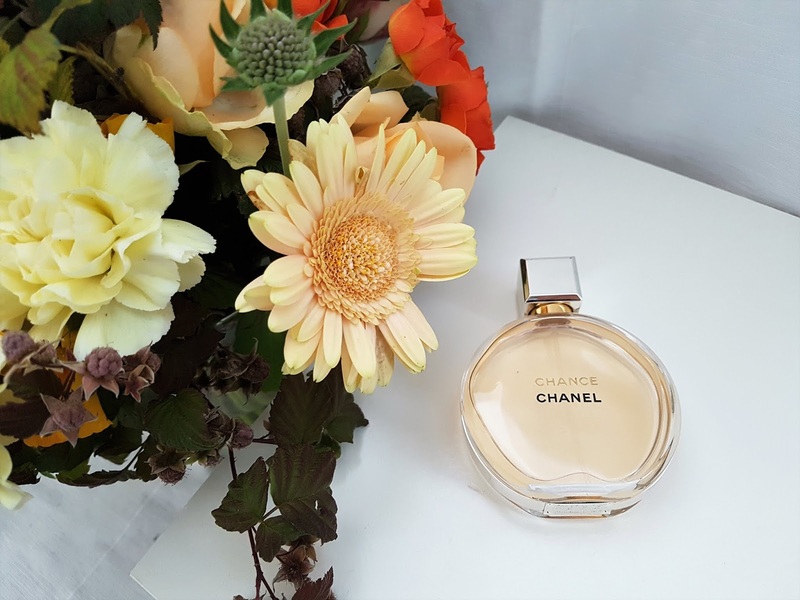 Such a classic fragrance- I love Chanel! I completely agree with you. This is one classic fragrance which smells gorgeous. Like you I'm also huge lover of Chanel fragrances and beauty products. we share same love for Chanel fragrances. I also really like commercial for this perfume as much as perfume. Both are awesome. I've never tried a Chanel perfume, but I've heard great things. I love how you paired it with a beautiful flower arrangement in your photos. Thank you so much for your kind words, dear. It means a lot to me. I'm sure everything that you hear is true because Chanel have awesome fragrances. This article is written so poetically! I had no idea of the history behind the fragrance and find it fascinating. The bottle is such a unique, classic shape. I have to say though, I have never tried it! I swear by my Jo Malone Amber and Lavender perfume but I think you've sold me on this one! thank you so much for your lovely words. I really appreciate it. I'm glad to hear that you like review and plan to try this perfume. It smells divine. I never try Jo Malone Amber and Lavender perfume, but I have Jasmine Sambac & Marigold and adore that one. It is gorgeous fragrance. Dear Tina, also and I. Chanel have amazing products and I really love them. I love this perfume! Gorgeous packaging too. We share same love for this perfume. It is one of my favorite, during autumn and winter I wear it every day. Have a wonderful Sunday, dear. Now I want to try it out as you got so many compliments! And for sure I love the quote :) Thanks for sharing and happy rest of the week! I'm glad to hear that you like the quote and wish to try this fragrance. When you try it let me know your impressions about it, because I would like to know do you like it as much as I do. This is such a beautiful perfume and I always love the packaging - simplistic, chic and lovely! I completely agree with you about packaging. It is so unique, wonderful and modern as well as fragrance inside. I'm also huge lover of Chanel packaging because it is first thing that I notice. This bottle is so simple, but in the same time elegant and beautiful. O would like to try it. when you try it, let me know your impressions about it. I would like to hear do you like it. Slažem se s tobom, draga Vildana. Ja obožavam Chanel parfeme jer predivno mirišu i Coco Mademoiselle je moj parfem broj 1. Chance je meni savršen za jesen i za zimu, dok Tendre obožavam nositi preko ljeta. we share same love for Chanel. we share same love for this fragrance because I also really love it. Seems like a really nice scent that I will have to try it. I can't believe it rivals the No. 5! Lol. Chanel No.5 have iconic status, but this fragrance become so popular that some people said that it is rival No.5. I really don't know because I never use No.5. When you try it let me know your impressions about this perfume. I would like to know do you like it. I have the same few perfumes that I use over and over again, no desire to try a new one. It is nice to hear that you have your favorite perfumes and you are loyal to them. Have a beautiful weekend, dear Anna! I'm glad to hear that you like photos and perfume. Thank you so much for your kind words, dear Marina. They mean a lot to me. I'm glad to hear that you like my photos. This perfume is so gorgeous - elegant, feminine, fresh but in the same time spicy. 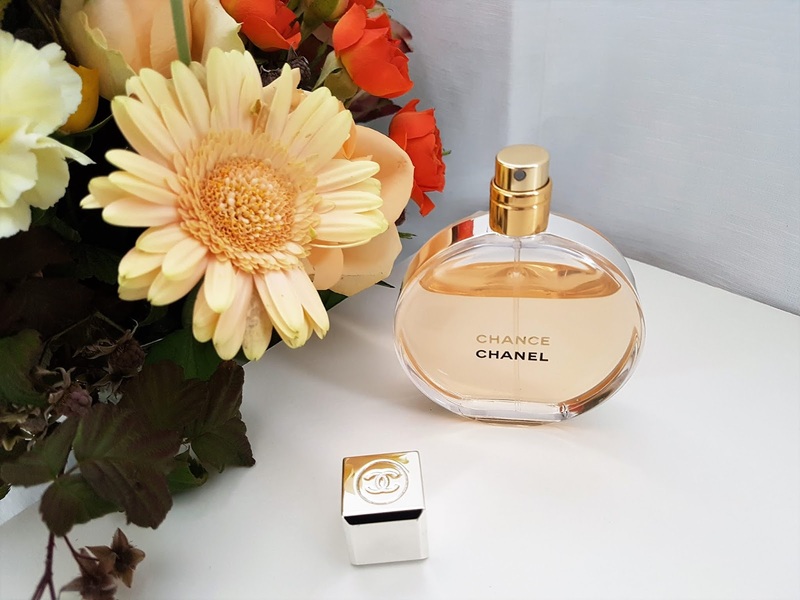 It is one of my favorite fragrances from Chanel, perfect for autumn and winter season. Never tried this scent before but I love the story behind it. Story behind fragrance is very inspirational and motivational. I also really love it, because I'm huge lover of products and brands who have story behind itself. I have this one too! smells sooo good! I'm glad to hear that you also like smell of this fragrance as much as I do. I have the coco Mademoiselle and I love it so much ! I also have Coco Mademoiselle and it is my favorite fragrance of all time. I wear it during whole year, but also I have fragrances which I pick during certain seasons - for me Chance is perfect for autumn and summer. Oh this perfume sounds so feminine, sophisticated and luxurious. Apart from the classic N5 I've never tried any other Chanel perfume although I know they are great. I'll so try Chance!! When you try it, let me know your impressions about it. I would like to know do you like it, as much as I do. I never try No.5, I remember one time I smell it, when I was in high school and in that time it wasen't for me. Now I think maybe is time to try it again. what a Lovely photos, love to try this fragrance. Thank you so much, dear Corina. When you try this fragrance let me know your impressions about it. Also you too, have a beautiful week! I'm glad to hear that, because I really love this perfume. It is one of my favorite. When you smell it, let me know your impressions about it. I would like to hear do you like it, as much as I do. you are completely right. Fragrance smells awesome and stay on skin and clothes for hours and days. Thank you so much, dear Sophie for your beautiful words and compliments. These are the best compliments that I ever got for blog post. I'm glad to hear that you like so much photos, text and post. It means a world to me. Fragrance is really gorgeous and like you said pure bliss in a bottle. I adore it. we share same love for Chanel perfumes. I also adore them, they are my favorite. this scent is one of my faves ever ever!!! so so good! we share same love for this fragrance. It is also one of my favorite and I adore wear it.